So it has been almost exactly 4 months since we moved out of the Rugby area and in virtually every way it’s been the best move ever: perfect house, beautiful countryside, nice towns nearby, good schools etc etc. There’s even a gym literally up the road from our house with handy opening hours, great equipment, some good classes and reasonable prices. There is one slight problem with this gym though: I never seem to bloody go. When I joined my new gym and went to classes I was struck by the fact that literally nobody said hi and the coaches never introduced you as a newbie. ‘That’s so weird’ I thought to myself, until I remembered, it’s not actually is it!? ‘That’s…so English’ is probably what I should have thought. Anyway, it’s so not Volentia and that was what struck me really I think. It makes such a difference when people actually engage with you when you turn up, even just for a few minutes. You feel much more inclined to step over the threshold of the gym doorway. 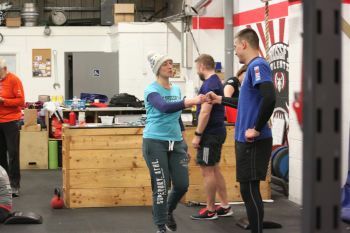 Then at the end of the workout everyone is supportive and congratulates each other on working so hard. I said ‘great work’ to someone at the end of a class last night and they looked at me in the same way that I get looked at by regular tube commuters if I try and help someone struggling with their bag. It’s not a good look put it that way. 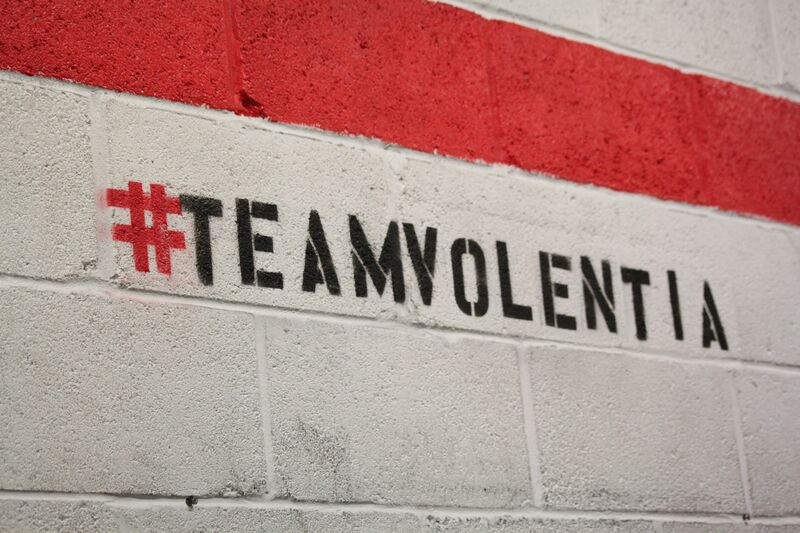 The people at Crossfit Volentia are missed tremendously. Again, having left Volentia you find yourself perhaps unfairly measuring all other instructors or coaches by the Volentia yardstick. In terms of coaches the bar is about as high as it could get. I’ve become spoilt! I now expect everyone in the fitness industry to genuinely care about transforming lives through lifestyle changes. I am used to coaches who are there because that’s where they would be even if they won the lottery that year (albeit perhaps with a glowing post sabbatical tan). Not simply because they’re due on shift until 5. 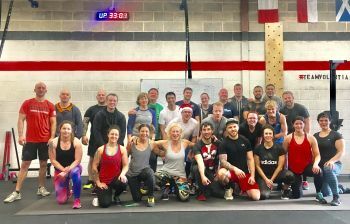 Pretty simple: without crossfit and without being spurred on by the effort (and okay, forever friendly competitive appetite) of everyone else around me I do not work half as hard. I lost and sustained the loss of about 8 kg (about 10% body weight) while at Volentia and I think the intensity of the workouts was big part of that. Without a workout of the day to really challenge you in an environment where you push yourself beyond the comfort zone the results are just not the same. This might be just me but I always loved supporting a business which I felt was being run the way that all businesses would be run in an ideal world. Volentia invested its money where it made a real difference and would never compromise its core objectives for a quick profit. See ‘coaches’ above. A small local business trying first and foremost to improve the lives of those in the community by doing what they love is an organisation I would always want to be part of. I never begrudged a penny of my subscription, even if for whatever reason I was unable to get in for a few weeks, because I believed in what the organisation was doing and most importantly how it was doing it. All four of the above basically culminated in this one: turning up. Don’t get me wrong I was never going to turn up anywhere 7 days a week because my goals are just not consistent with that. I don’t want to compete - I just want to be in reasonable shape, have energy and preferably not die fat. It’s not that I am completely off track with those goals now but now those goals and my actual actions are just so much harder to reconcile without Volentia. Friendly faces, passionate down to earth coaches, proven results and working with such an admirable organisation all got me over the line and working hard. And that’s the key: turning up and getting on with it. Volentia makes that so much easier and I miss it sorely.